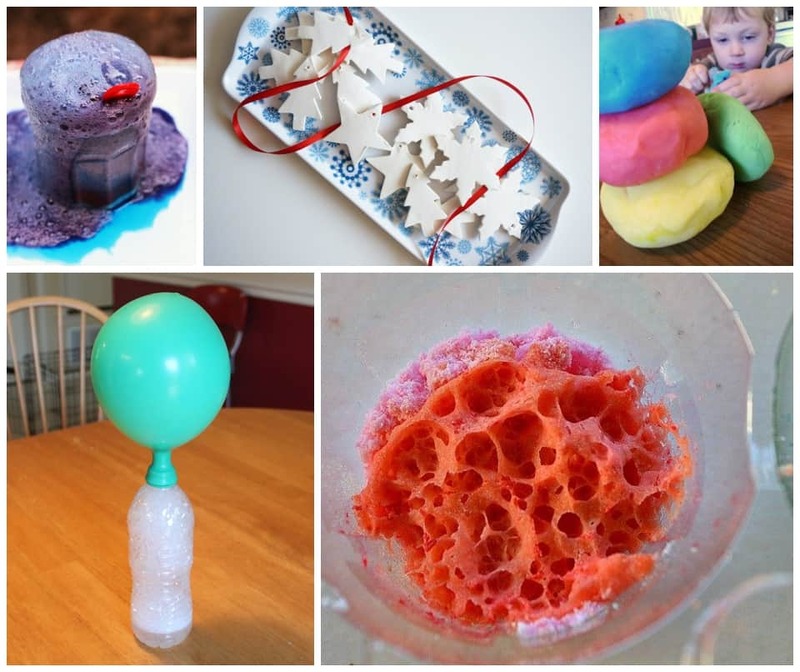 Have some kitchen science fun with baking soda. 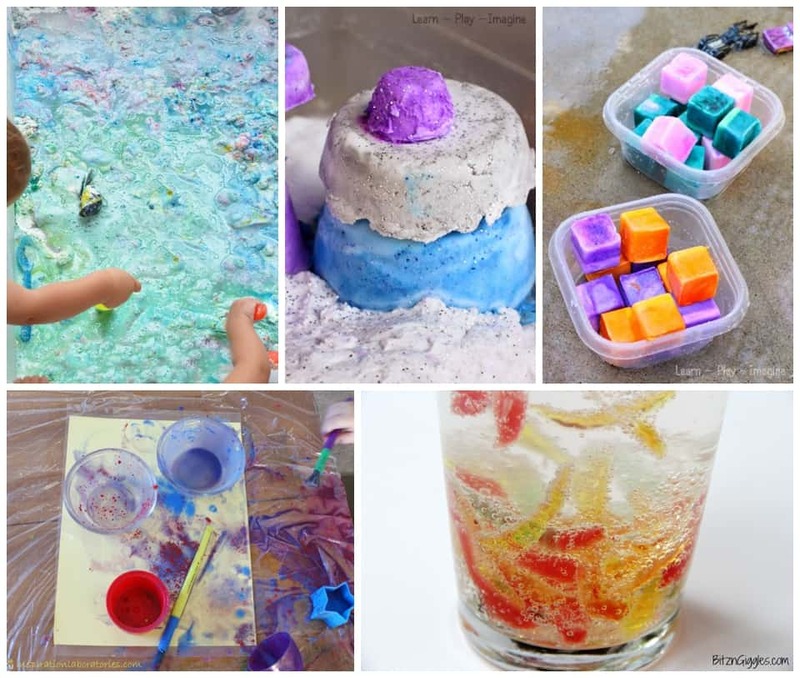 Known as sodium bicarbonate, this alkaline compound reacts with acids like vinegar to create some fizzy and safe fun for kids. 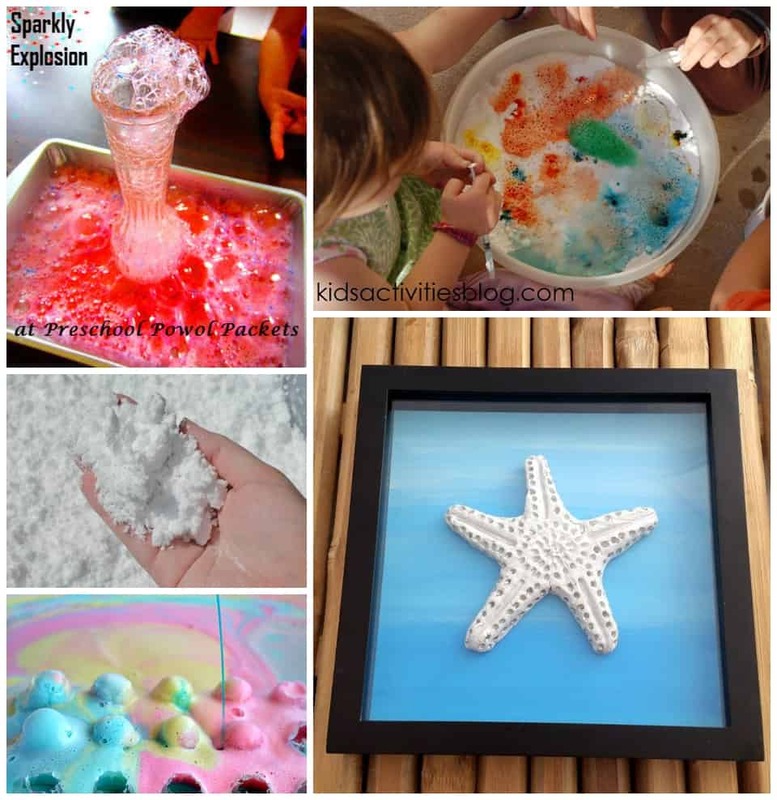 Engage in colorful entertainment by making paint, rainbow dough or mini volcanoes. 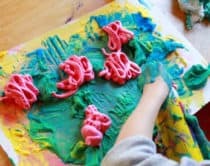 Or make erupting chalk, decorative ornaments, and treasure rocks. 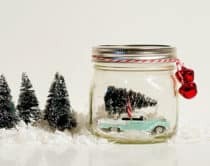 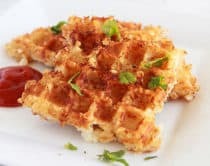 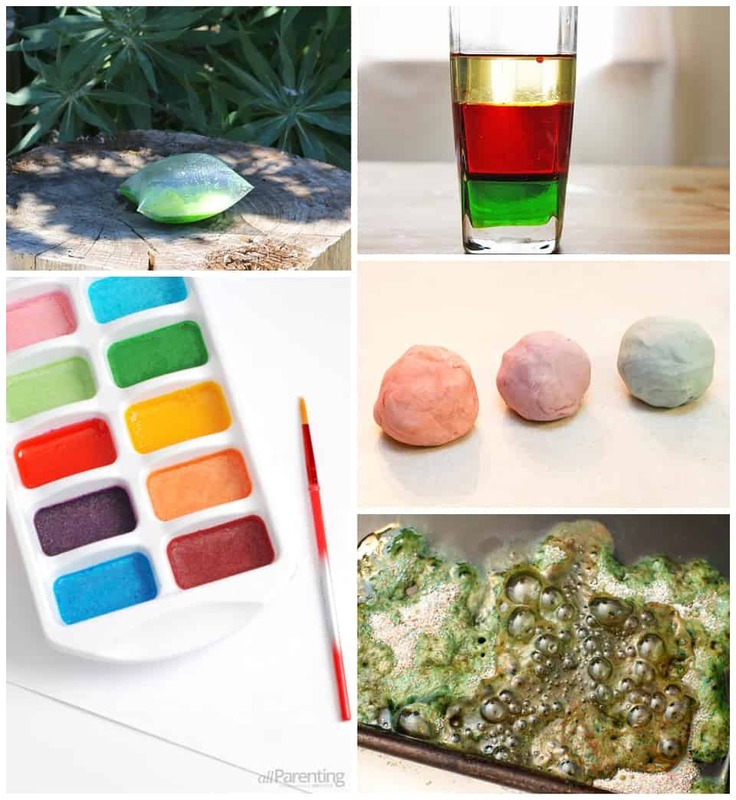 These are just some of the fantastic uses for creative experiments using a common ingredient you probably already have at home. 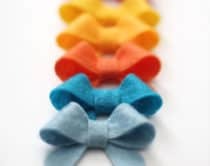 *Make sure to click on the links below to check out the full tutorial. 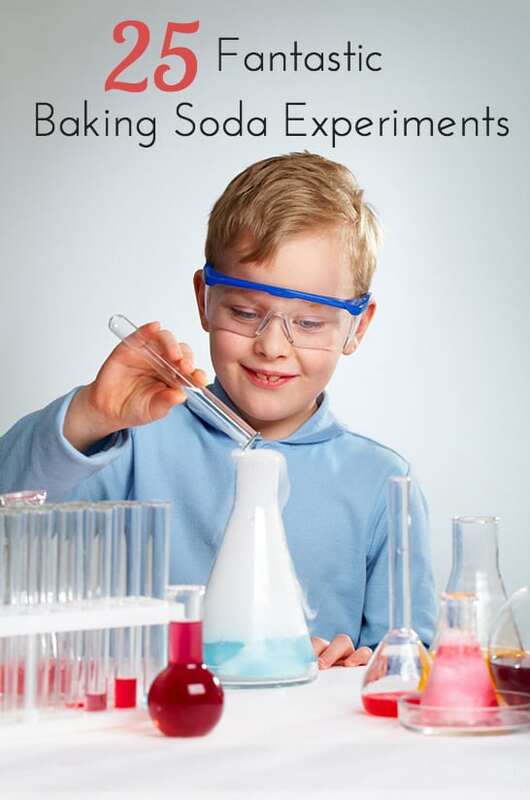 Have you tried experimenting with baking soda? 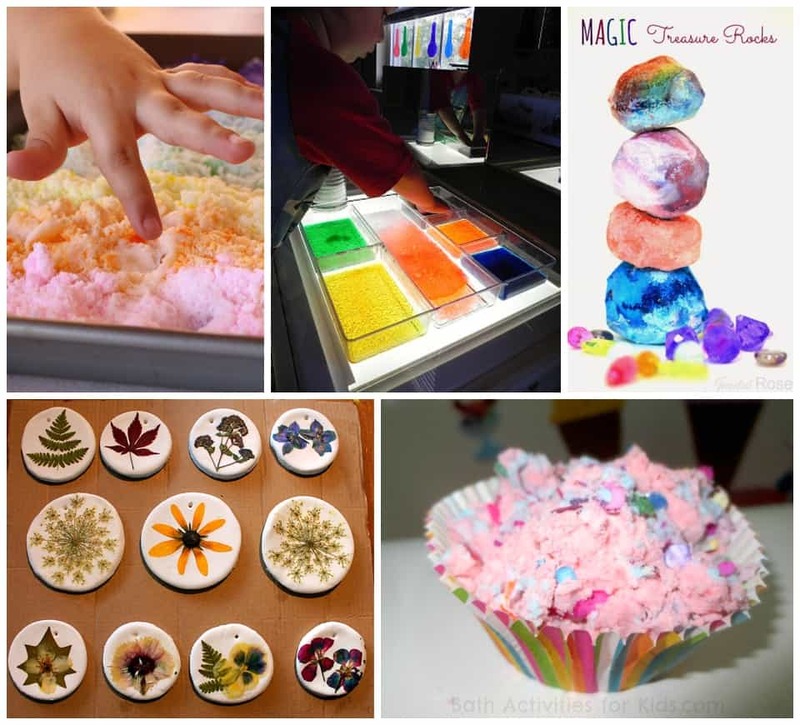 What are some of your favorite things to make with it? 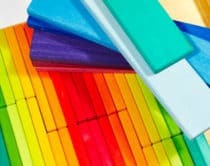 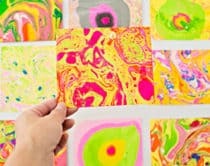 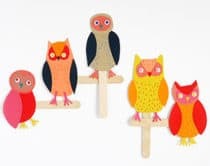 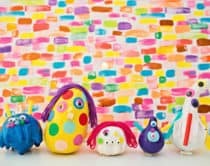 Take a look here for tons more creative projects for kids.